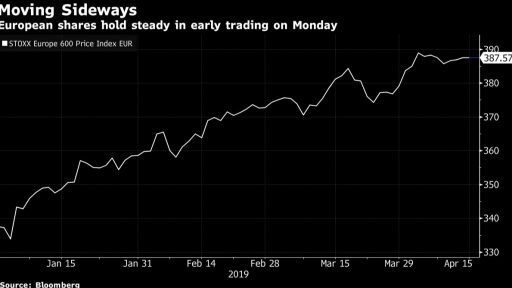 European stocks remained stable after the positive start of the week in Asia, while the banking sector added to Friday's advance before the corporate results of major US lenders. The Stoxx Europe 600 index remains unchanged, with the Stoxx Bank Index gaining 0.8%. The media sector is among the strongest, with Publicis Groupe SA up 2%, after a report that will pay $ 4.4 billion in cash to buy Alliance Data Systems Corp.'s marketing department. 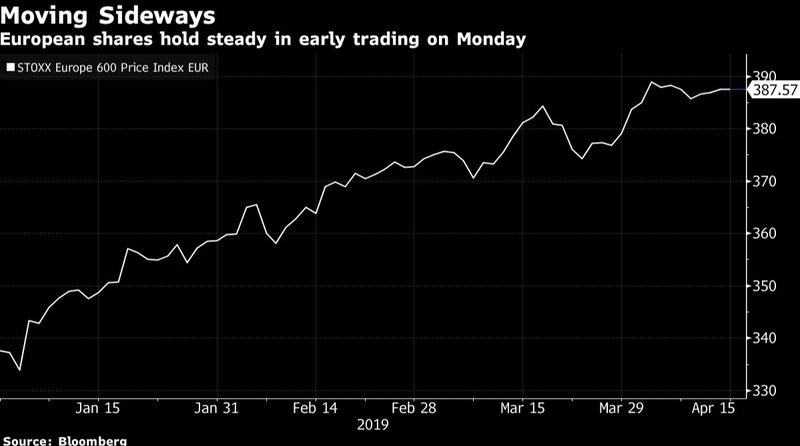 "Stock market bulls continue to take advantage of a victory tour last week backed by positive data in China and better-than-expected corporate results in the US," said Martin Guri, Head of Nordic Strategy at Kepler Cheuvreux. The main theme for talks among investors is the progress of US-China trade talks. Finance Minister Steven Mnuchin said the US is ready to face "repercussions" if it does not fulfill its commitments in a potential trade deal with China.